Douglas Smith with one of his bulls. 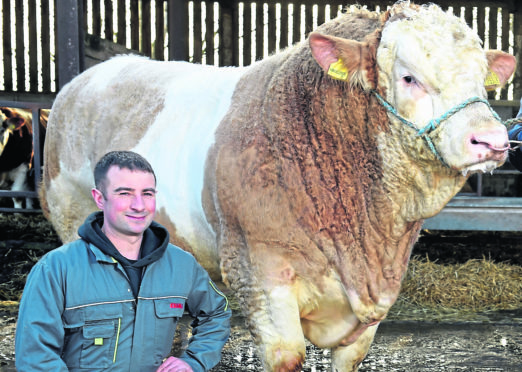 Douglas Smith, of Drumsleed Farm in Fordoun, had been in the ring at Thainstone Mart with his Simmental bull when the incident took place during a show of pedigree bulls. Police and paramedics were called to the centre, on the outskirts of Inverurie, early yesterday afternoon. 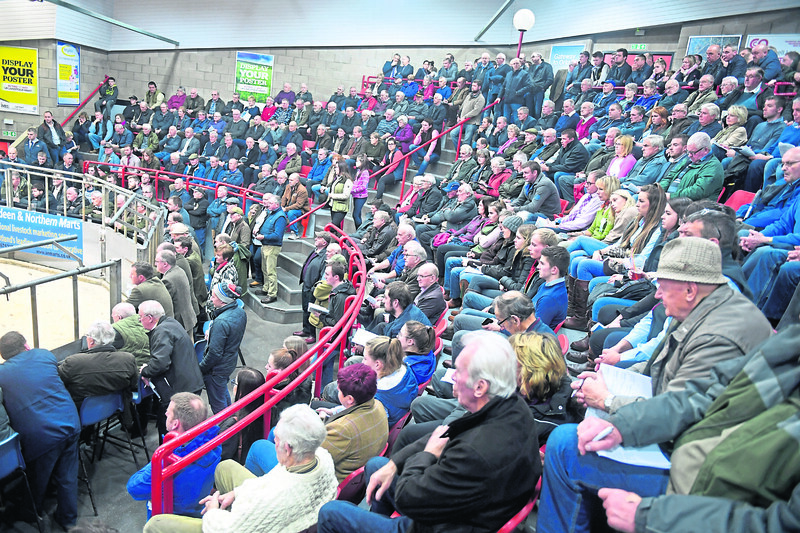 A hush descended over the hundreds of people in attendance as concerned onlookers with first aid training raced into the ring to administer assistance to the stricken farmer. Others managed to get the bull under control and quickly led it from the ring before it could injure anyone else. 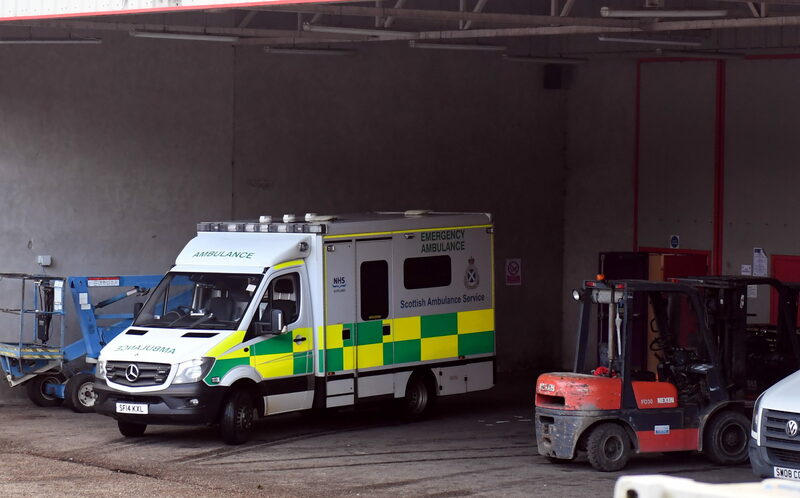 As people were ushered from the arena, a blanket was wrapped around Mr Smith before paramedics arrived and took him to Aberdeen Royal Infirmary. An ambulance at the Thainstone Centre. One onlooker later described the “frightening” scenes that unfolded. They said: “The crowd was gathered watching the show of Simmental bulls, when the bull Douglas was holding suddenly jumped up on its hind legs and landed back down on top of him. “It was really frightening to see. “Fellow farmers got control of the bull and took it, and the other bulls, out of the ring. Police and paramedics arrived shortly afterwards and the scene was cordoned off. Last night, a spokesman for Thainstone Mart said that staff were “very disappointed and concerned” about the incident. And Aberdeen and Northern Marts (ANM) chief executive, Grant Rogerson, praised those who rushed to Mr Smith’s side. He said: “Everyone in attendance was very shocked about the incident, and we hope Mr Smith makes a full recovery. A police spokeswoman confirmed that officers were called to the agricultural centre to “make sure everyone was safe”. She added that the Health and Safety Executive had been made aware of the incident. Simmental are a breed of dual-purpose cattle raised for both meat and milk. Their average weight is about 140 stone for matured cows and up to 205 stone for matured bulls, which is more than a tonne. Mr Smith helps to run Drumsleed Simmentals, which was founded in 1981. Information on the firm’s website states that it is also owned by Gerald and Morag Smith. The site says that the company “tried several different breeds” before finding that Simmentals were the “most docile, dual-purpose breed for beef production and milking ability for the commercial cow”.